Move Right-In! Quick close possible here in this One Story - Three Bedroom Home. Enjoy NEW Central Air, Lower Level Tiled Shower Bathroom, Paint, Carpet. Don't miss Wood Burning Fireplace located in Living Room, Hardwood Floors, Total Updated Kitchen, Attached Garage. 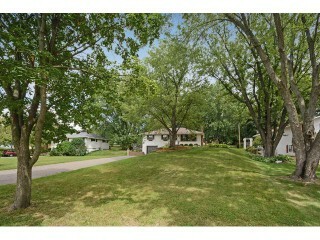 Large Treed Landscaped Yard has Deck, Patio, Storage Shed with plenty of space. Walk to Tanners Lake beach/ Park right around the corner- convenient shopping & location.